​plus USB international 100-240V charger. Problems with your feet can affect your whole life, hard skin and calluses are a common problems but can cause severe discomfort. 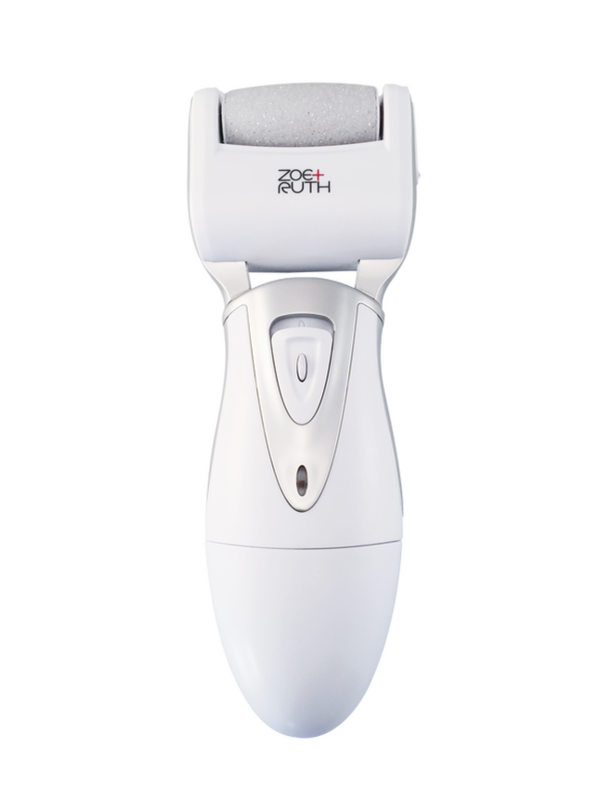 Regular pedicures can alleviate the problem but our rechargeable callus remover offers a solution you can use anywhere, ensuring your feet are always smooth and pain free. New 2018 model is one of the most powerful and is fully rechargeable. Now Re-engineered to handle the toughest calluses spinning more than 40 times per second. Very Lightweight and portable. Traveling? Take it with you anywhere you go. It comes with its own travel case. Water-resistant. Use it on wet or dry skin and clean it under tap water. Safe, powerful, quick, and easy way of prepping your feet in seconds. Premium quality - Made with high quality ABS materials. The optimum alternative to a professional pedicure. Comes with 3 extra Micro-Abrasive Surface rollers that last much longer than other brands. Economical over the life of the product. Perfect for commercial use. No batteries ever needed. Sleek and beautiful packaging makes it excellent for gift giving. 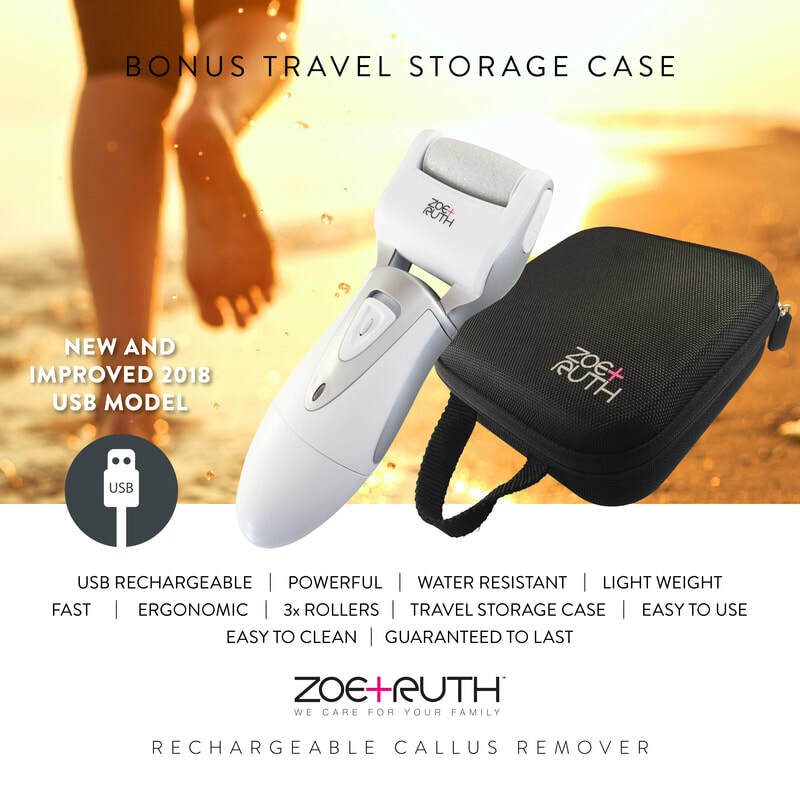 You get the new 2018 model with its unique silver rechargeable Callus Remover, foot file unit. This comes already fitted with a Rough Micro-Abrasive Surface Roller and you also have another 2 spare rollers* added too. It all is conveniently stored in its own hard protective black travel case. It has its own cleaning brush and a USB rechargeable power supply (USA/International 100-240V 50-60Hz) for continuous use. No need for spending extra money on batteries. You will have a warranty card to join the Zoe+Ruth VIP to extend your manufacturers warranty to 1 year. Plus a 10 page detailed instruction booklet. Please read before operating. Does the charger only work in the US? Most of the companies selling Rechargeable Callus Removers just give you the inferior 110v charger and this works in the US only. 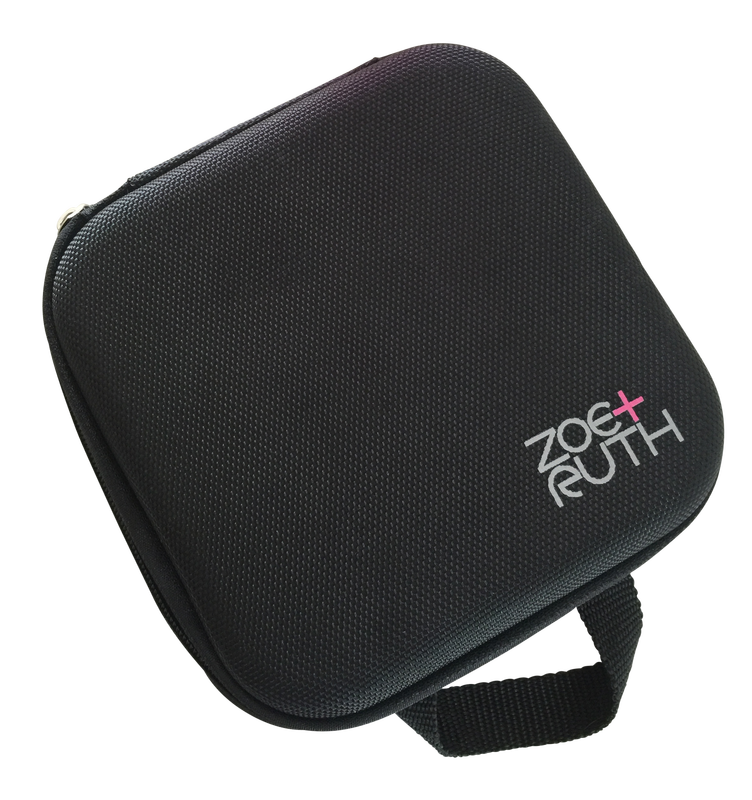 But the Zoe+Ruth USB charger is an international switching adapter which works in the US and in other countries so you can take with you in the travel case. The charger is Input: AC 100-240V 50-60Hz; Output: DC 5V 1000mA. How long do the replacement heads last before needing new replacements? The life of the grinding heads depends on how often you use the product and the condition of your feet. If you have lots of callus build-up and hard skin on the feet, you may have to use the product two or three times a week at the beginning. We generally recommend that you apply the device once per week to buff off hard, dead skin and coarse calluses. Unfortunately there is not a definitive answer to how long they will last, all I can say is they are strong and if cleaned properly after use you will then maximize their lifespan. Can this product be used whether feet are wet or dry? Our Callus Remover will work on both wet and dry feet, but to get the best results just wash your feet first and dry them. This will soften the hard callused skin and make it easier for the device to remove it. How many spins per second? This Callus Remover has 40 revolutions per second. This means it is fast and tough enough for those stubborn calluses on your feet.